When you don’t live in Australia, this might sound pretty strange, but down here are actually quite a few species that like to be close to the coast. 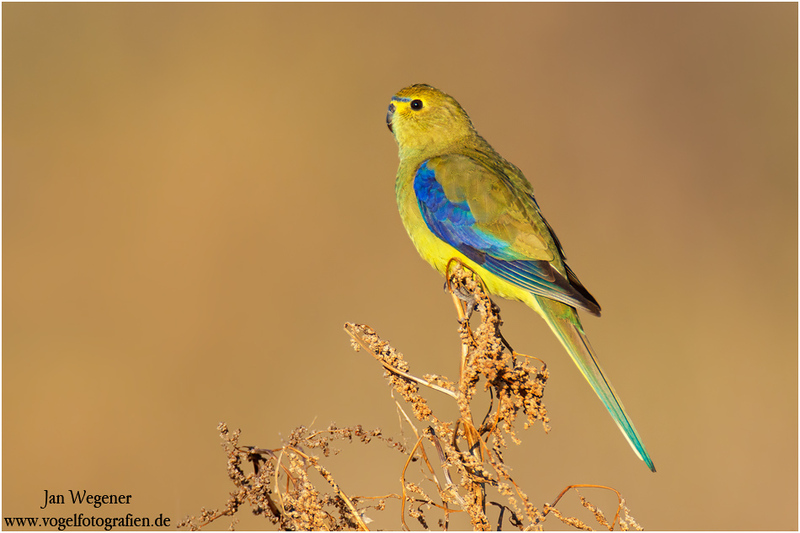 One of the most beautiful ones is the tiny Blue-winged Parrot (Neophema chrysostoma). 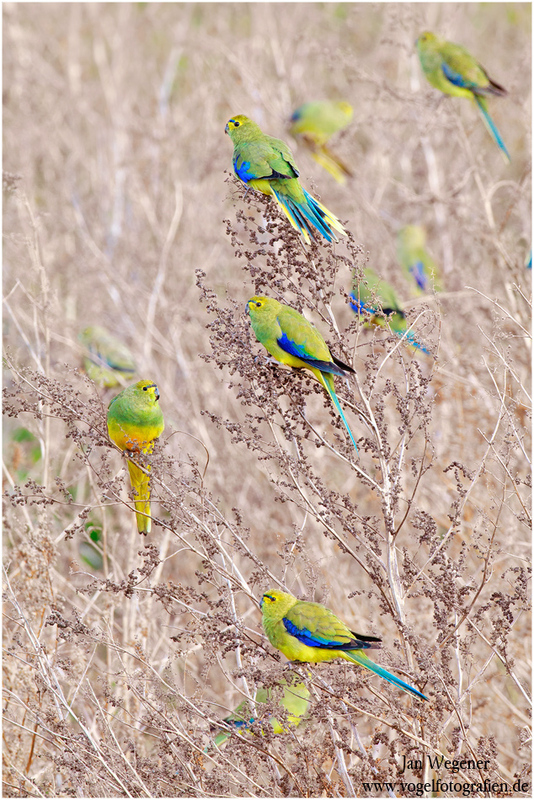 In July I had to chance to photograph the Blue-winged Parrots in different spots along the coastline south of Melbourne. 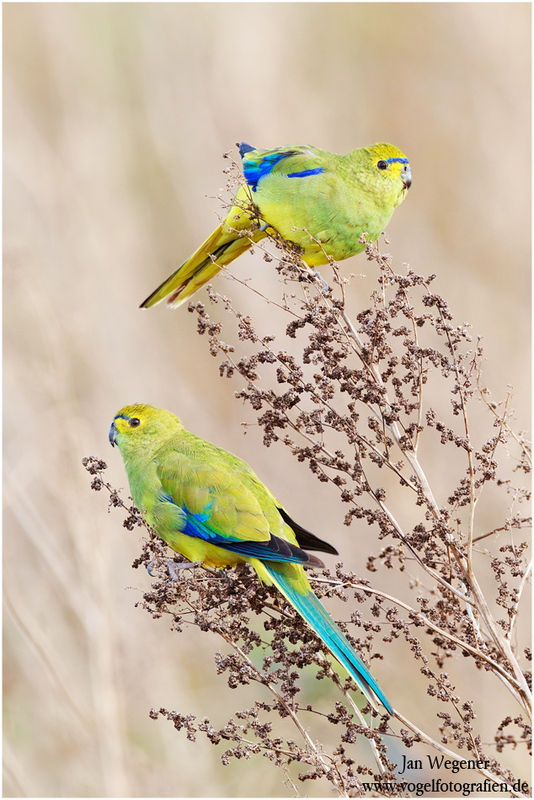 The Blue-winged Parrots were always sitting on a plant called “Fat Hen” (Chenopodium album) and fed on the tiny seeds of the dry plants. 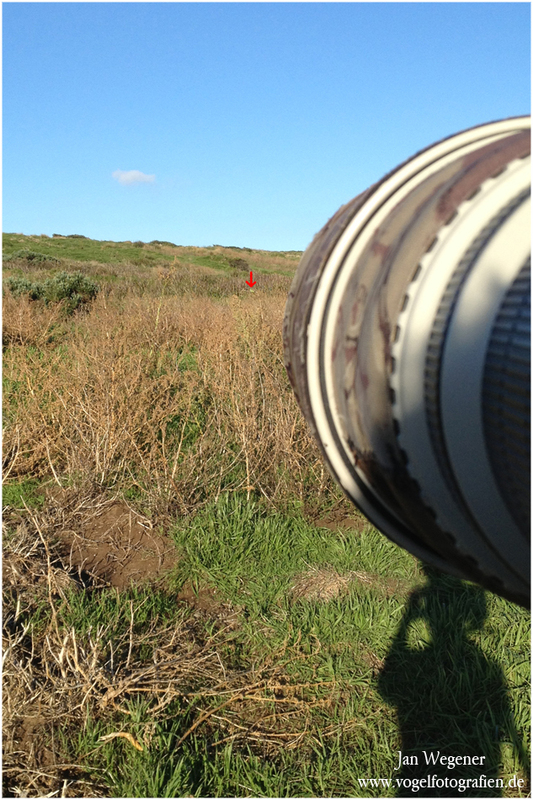 If you look carefully, you can see a Blue-winged Parrot just below the red arrow. After getting a few tighter portraits, I tried to go for group shots. 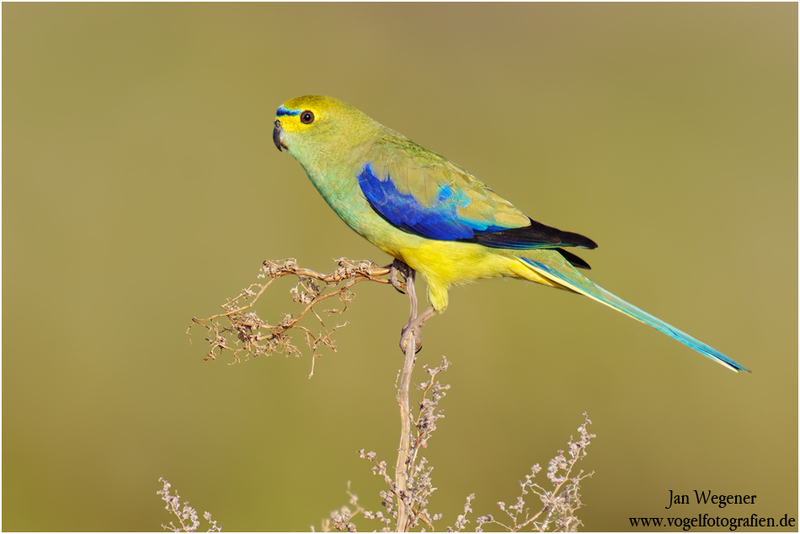 It sounds easier than it is, because for a good result the Blue-winged Parrots have to sit on the same plant and in the same focal plane. First I captured two birds feeding on top of a dry Fat Hen. At the very end, I saw a few birds that had all landed on the same plant and after approaching very carefully I managed to take a few images of a group feeding. What a great feeling to get a shot you had envisioned for a while. To get enough depth of field, I stopped down to F13.